Cubo has been handed the PR and social media brief to launch Forces Sauces, a line of condiments from which a cut will go to armed forces charities. 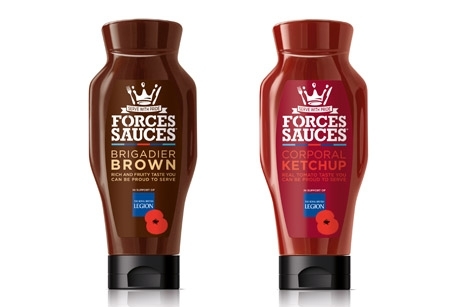 Two Forces Sauces products, Corporal Ketchup (tomato ketchup) and Brigadier Brown (brown sauce), have secured listings in Tesco from 10 June. Cubo’s strategy will be to use social media and PR to humanise the story behind the brand, which was the brainchild of Bob Barrett, a former soldier who found himself in need of accommodation and support in 2004. He was helped by ex-services charity Stoll, which he helped in turn by establishing not-for-profit food businesses leading to the creation of Forces Sauces. At least 6p from every bottle sold will be donated equally to The Royal British Legion and Stoll. The agency will be retained after the launch to handle trade and consumer media.